One of the most common complaints I hear about canvas packs is the lack of frame or general discomfort to carry. While much of the discomfort can be eliminated by packing it correctly, you can also add a basket or frame or both for that matter. Most of the time I just use a ash pack basket in mine and it's plenty comfortable for me. However there are times when carrying a extra heavy load or needing to, could be done in a more comfortable fashion with the addition of a frame. It's very simple to match them up and you don't need to mod or change anything on the frame or the pack. You will need the ALICE frame shelf and two 1" webbing straps and two strap adjusters, though this is optional. You're also going to want either a 18" pack basket or similarly sized wastebasket. In my case I have a pack basket, a 18" basket fits fairly snugly, you can do this with the wastebasket as well. 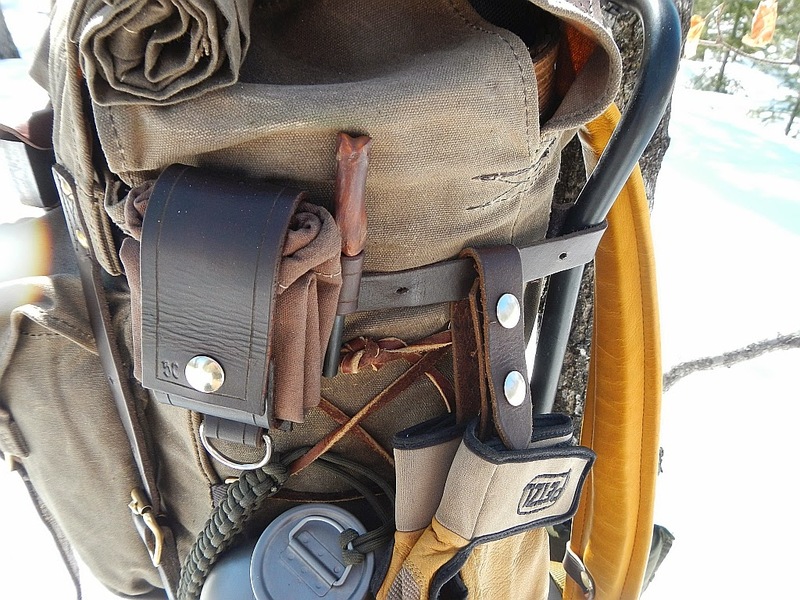 The weight of the loaded pack while on the frame should be primarily on the ALICE shelf and thus the waist. Having a rigid interior will help accomplish this. 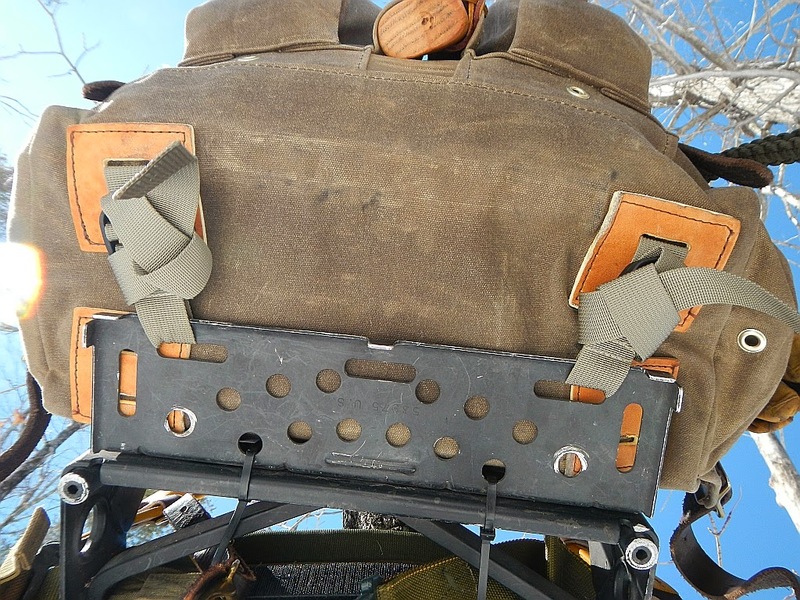 It will also provide the rigidity at the top so that you can use the leather compression straps to pull the pack in tight and secure to the upper part of the frame at the bend point. In the image below you can see where the upper leather compression strap goes around the frame to the buckles on the front. By having either the pack basket or the wastebasket inside the pack you can torque down on this strap, pulling the frame tight to the pack. Obviously do the same thing on both sides. In the below image you can see where I used the webbing to go through the tab and back to the frame shelf. This probably isn't completely necessary but I did it to further secure the pack to the frame. 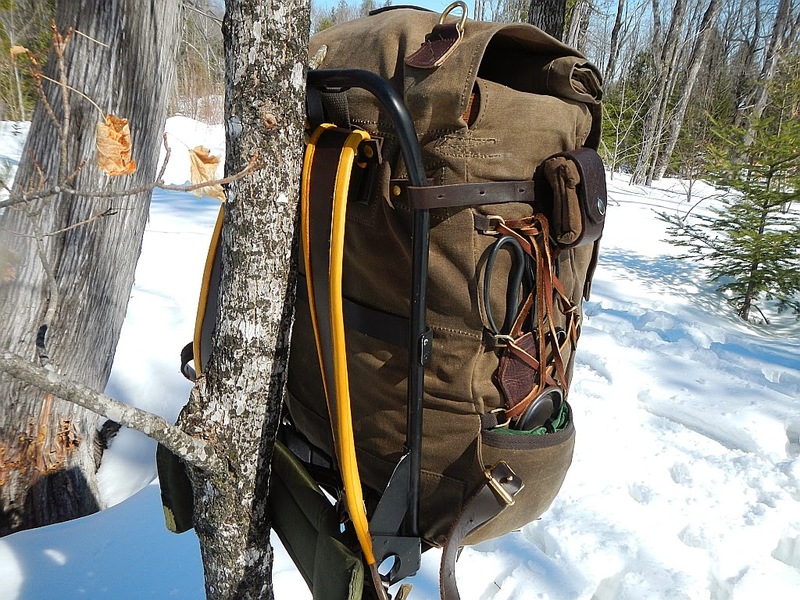 Attaching the pack in this way allows you to use the great Frost River straps. I've had this pack off and on the frame for over a year and have seen no adverse affects to the pack at all. The waist pad and belt are original to this frame but there are upgrades available that would add comfort and more support. I may eventually try that upgrade but for my purposes the original pad and belt work just fine. That's it, nothing else to do or add or change. Makes for a nice set up with a frame, and gives you all of the benefits of a ALICE frame pack with the great durability and functionality of the Isle Royale Jr.
Arguably the best looking ALICE rig in existence. Great idea. Beautiful looking pack. My issue with canvas packs has always been the lack of features available for the very high weight of the packs. I quite like frameless packs, but they usually weight in the 1lb range (the benefit of removing the frame). A frameless canvas pack on the other hand can be in the 5lb range or higher. For that weight one can get a very large pack with a frame; and that includes very strong packs like Kifaru, Gregory, Kuiu, etc. 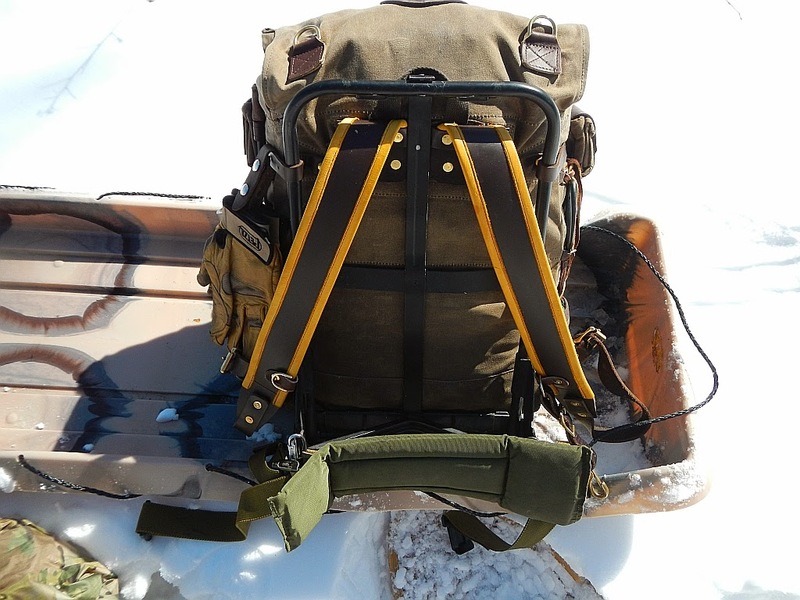 For example, the new Kuiu Ultra 6000 (100L pack) weighs 3lb 9oz and is designed to carry out 150lb of weight. I know some people don't care about weight, but for me every pound I can remove from the gear, is an extra half a day of food I can bring and extra few miles I can travel. What is the total weight of this set up? I routinely pull 10 plus mile treks with it and do it comfortably, even without the frame. The frame in this case isn't full time, it isn't needed when the pack is properly loaded. I'm familiar with Kuiu's offerings, used them sporadically for a couple years but didn't stick with them for a couple different reasons not related to quality as it's top notch. I frankly do not need the CI that or those typical packs offer. Depending on what I'm doing I do use packs in excess of 5k ci but not regularly. Over 4k and I'm canoeing anyway. A 5k TC holds enough for me for 12 days in the Boundary Waters Canoe Area Wilderness. The Jr with this frame comes in at 6 pounds give or take a few ounces. Though I don't use the frame all the time, it isn't needed. Generally speaking I'm using roughly 2500ci of the space the Jr offers at close to a stated 2916ci. I see no point in going larger than needed. The weight difference is negligible for people in reasonably good condition and shape. Perhaps not so much for weekend warriors. Then there are other reasons for using it and they are mine. I'm well aware of your thoughts on what 'bushcrafter's' use and while I find your posts on the matter informative they are also bemusing to me as I don't see the point in discounting the choices of others less those choices actually represent a risk to health and safety. Time is too short to worry about what someone else uses. At the end of the day I chose what I chose because I like it, I am not a side of the road bushcrafter and regularly spend extended periods of time in the bush quite far from the nearest road. I've found there are places that I chose a heavier piece and others where I go super light. I've a mix of very modern, even high tech bleeding edge equipment, and what some would class as traditional. Somewhere along the way personal preference comes into play and I couldn't care less whether or not my gear selection fits someone's idea of what is or isn't correct. 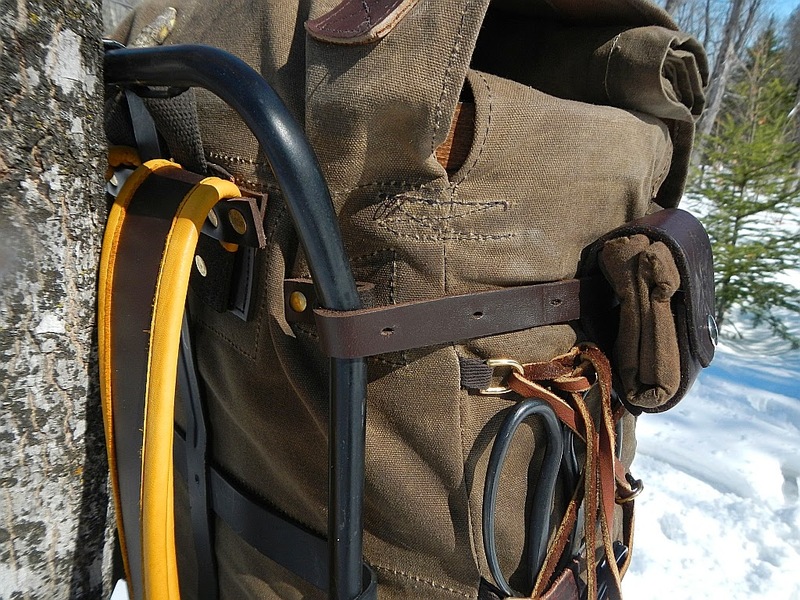 I like canvas and leather packs, yet use Titanium cookware, I have elected to use modern sleeping pads and modern down bags over wool blankets yet I wear primarily wool clothing in winter. I don't believe in a right way or a wrong way, there is my way and your way and neither one needs confirmation or validation from the other. This is what makes it interesting. I don't think anyone is saying that anyone's personal choice of gear is right or wrong. You should carry the gear you like. No question about that. You started the post by saying "One of the most common complaints I hear about canvas packs is the lack of frame or general discomfort to carry." I know I have complained about that in the past, so I wanted to clarify. That's why I specified that my issue is not with frameless packs, but rather with extremely heavy frameless packs. 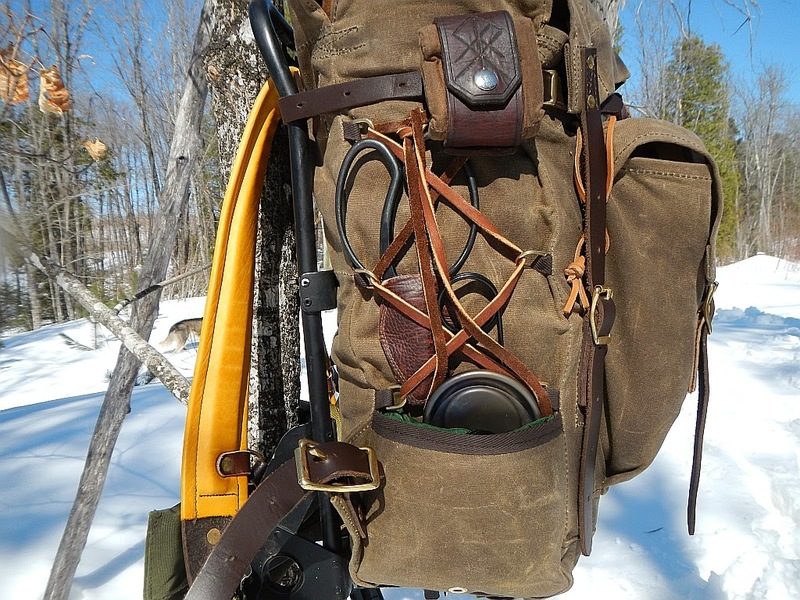 The Kuiu pack I mentioned was just a random example. Kuiu, Kifaru, Stone Glacier, Paradox, etc offer smaller packs in the 3000cc range, that weigh about 3lb and are rated to 150+ lb. I'm not sure what all the talk about weekend warriors is about. One's physical strength has little to do with what type of camping they do. As for the weight being negligible for anyone in reasonably good conditions and shape, I think we have to agree to disagree. All things being equal, a 5 lb difference in pack weight is equal to about 3 days worth of food. Anyway, seems like this conversation is upsetting you, so I'll call it quits. Seems like you are upset about some of my prior blog posts, and there is quite a bit of baggage and resentment being inserted into the discussion, and I'm not interested in a "who's the bigger man" contest. You've completely misread what I posted. Weekend warriors comment for example, there's a ton of folks who rarely get out and then when they do they complain about the relative comfort of a pack or pair of boots. The reality is the body adapts to action, inaction can then be the opposite, people get soft. Wasn't aimed at you in the least. It also had nothing to do with strength at all so not sure where you got that from, it has to do with conditioning. Same as folks with little to no exercise that typically don't make it more than a mile from the car, then blame the gear being to heavy. It's conditioning, nothing more nothing less. I am surprised that three days food for you equals 5 pounds. A pound a day is the high side rule of thumb for me. Not sure why you think the conversation is upsetting, we've always had a difference of opinion on nearly everything but that doesn't make discourse with you upsetting, far from it. Ross, I'm not measuring anything, for whatever reason you're being hypersensitive. There's not an iota ever written in my blog or comments related to you. I've never had the need to comment regarding you or your posts save reference in the earlier regarding you're position on 'bushcrafter's' gear which you've posted about prolifically. I think you're reading too much into this. I responded to your first question in a manner that would address your perspective, because I know your perspective from your posts. The complaints about canvas packs I was talking about was specific to the forums at BCUSA where there's been several of recent weeks. No you specifically. Ross, for what it's worth, while those packs are rated to 150+ no one in their right mind would ever intentionally carry that much weight unless they were trying to prove a silly point or had absolutely no other means of moving that much weight. Also, for what it's worth, an ALICE will carry 150+ lbs of weight, too (been there, done that), though again you wouldn't want to do it. Also, the Paradox packs (and others) weigh sub-4 lbs and are up to more than 6000 cu.in, not 3000. That much space can get you into more trouble than it can get you out of, and quickly, because nature and packers abhor a vacuum and will find a way to fill that space - often needlessly. 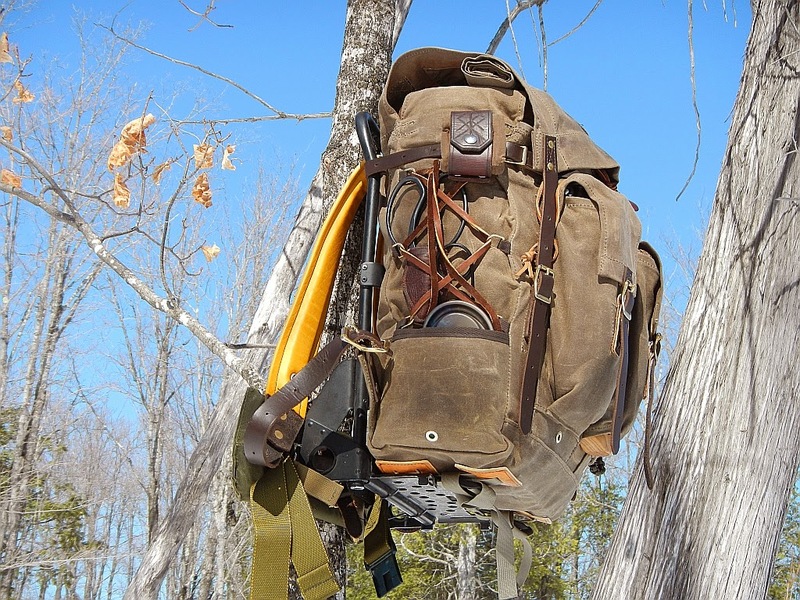 'Grouch put up a very useful combination of a truly great pack and a known workhorse of a frame. It's not intended to be perfect, nor is it intended to be right for everyone; for those that like it, they'll find it useful, to others merely curious. Not everyone is a gram counter or an ultra lighter, and to those that are, well, this system won't make much sense. So be it, but that doesn't discount or negate the utility or the practicality of the system. Use what works for you, and be happy with it. Others go a different route. God. That is so gorgeous. Where did you get the pack basket? Might look even better on a Nelson indian packboard! My royale with cheese is in the mail! 1. So I would be looking for an Alice frame with a shelf? Can you provide a link -- I am finding frames without a shelf or frames with two shelves. 2. Are the additional straps you're using also purchasable through Frost River? 3. 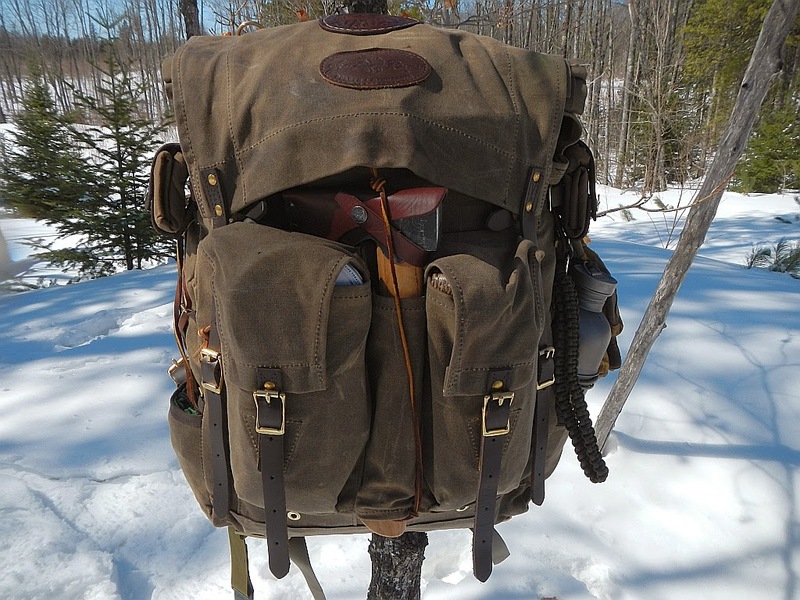 If I am reading and seeing everything correctly, the shoulder straps are the ones that come with the Isle Royale but the waist straps are not--is that correct? 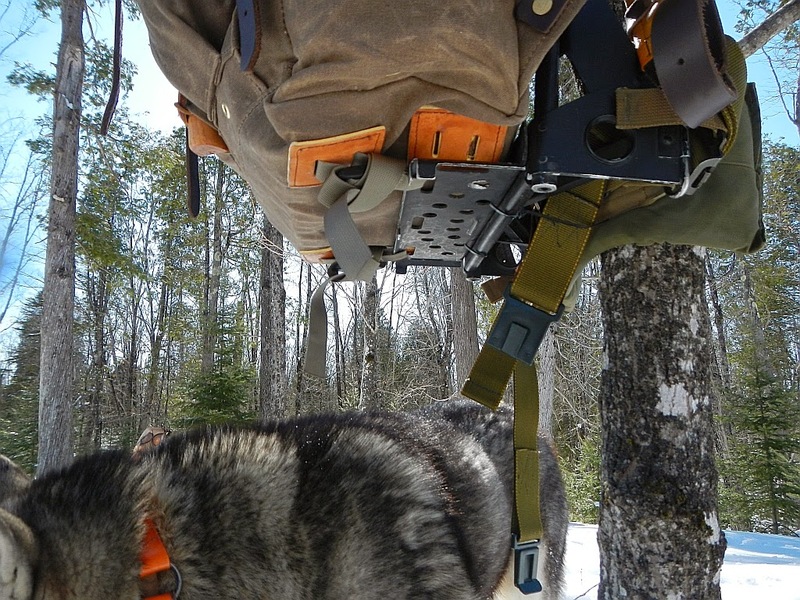 If I am correct, can this setup be modified to allow the user to take advantage of the original Isle Royale waist straps? Oh man, what a beautiful setup. I have been tossing around the idea of pairing my pack to an alice frame for longer excursions and I'm glad I saw your setup. Great work, man. Awesome pack. ...and thanks for the detailed pics! How do the canteens fit in the side pockets? Easy fit?